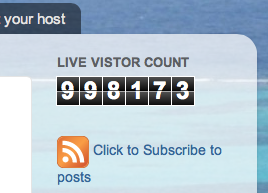 Vacation Barefoot Travel Blog: We're approaching 1 million! Oh congrates mate , some babes are really awesome :P We made all popular certifications so easy so that you can materialize the dream of your achievement. 1Z0-580, 1Z0-117, HP2-N44, We believe in full customer satisfaction so please have a look on DEMO tests and you will know what it means when we say our products are free from irrelevant details.